I love the language and DC’s thoughtful, relentless approach. I sincerely hope that retirement is a long way off. 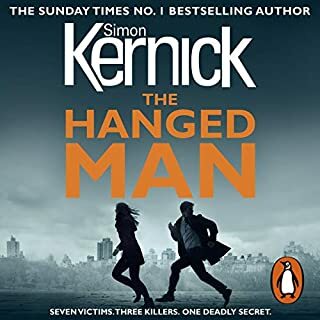 I generally like Simon Kernick and was pleased when I happened on the 2nd instalment of the Bone Field killings. I found this one though a little bit implausible, the results and how it all fitted together so snugly. Ray Mason gets the job done, but he’s not likeable. I found the character too ready to justify his killings and that grated a bit. He reminds me of Tony Parsons “Max Wolf” who is a far more empathetic character and as a result you are on his side. 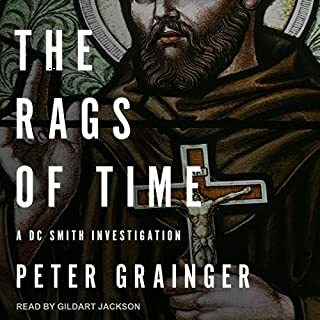 The narrative was good but I really do dislike “Lootenant” by a British narrator doing his London best. When did the USA enter this story? 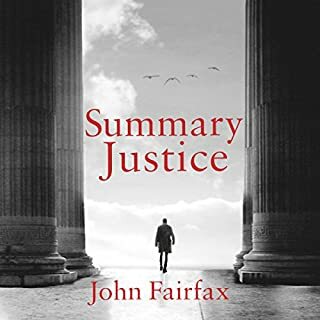 Having had a moan I will listen to the next book, not with baited breath, but to see how it turns out and how the baddies get their comeuppance. 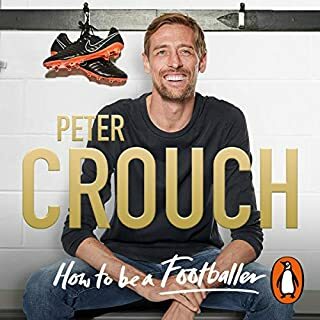 Peter has written a different autobiography from most of the footballers rather staid rubbish, but I grew tired of the excesses and childishness of his chosen profession. As a Liverpool fan I enjoyed his admiration of Stevie G, but a lot of it fell flat. I was originally tempted to listen to the book by so many positive reviews and his self-effacement is charming and he comes across as a humorous, self deprecating, modest man. Full credit to him. His generalisations, eg no-one with intelligence could possibly succeed as they would overthink the game is belied by Steve Heighway, Brian Hall, Frank Lampard and Graeme le Saux who are errudite well educated players who succeeded at the highest level. It speaks volumes that some branded Le Saux as homosexual because he was well educated. Solve that one Peter! Another intelligent player who succeeded is Pat Nevin, TV pundit and Chief Executive of Motherwell FC. Perhaps I'm guilty of generalisations too as I find so many football autobiographies tedious and prefer the servings of Rod Liddle! 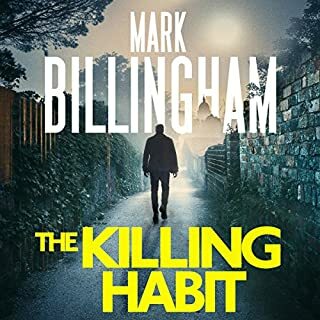 From number one best seller Mark Billingham comes a twisting, unbearably gripping DI Tom Thorne and Nicola Tanner thriller inspired by a dramatic real-life case. How do you catch a killer who is yet to kill? We all know the signs. Cruelty, lack of empathy, the killing of animals. Now, pets on suburban London streets are being stalked by a shadow, and it could just be the start. 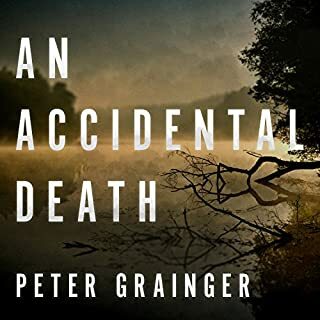 DI Tom Thorne knows the psychological profile of such offenders all too well, so when he is tasked with catching a notorious killer of domestic cats, he sees the chance to stop a series of homicides before they happen. Good story but Mark is not the narrator for his own books. I always enjoy Thorne's problems and this did not disappoint, but I feel a better narrator would have complimented his series far better. 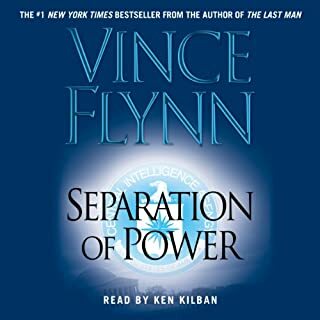 My wife and I listened to this book on our way north to Dornoch. It became the must listen to on every journey and boy did we both enjoy it. Started on the Friday, next purchase Blind Defence on the Tuesday! Great narration and the tension plus surprises were brilliant! Hope the next book holds the same promise. Both of us totally hooked by the characters. 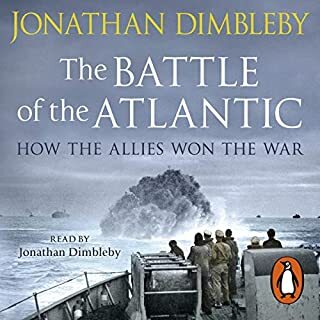 Dimbleby covers the whole battle extremely well, however I found some omissions that needed expanding, Eg the sinking of the Tirpitz. All in all a very good book. I found the narrators pronunciation inconsistent eg Lieutenant in the British navy being pronounced Lootenant(US) very annoying. He covered the US, German and French pronunciations very well, but our own! Did everyone think it was England who fought the war......no Scottish or Welsh or Irish? I’d have much preferred British Navy rather than just English. Some editing problems too, but I’m nitpicking on a very thorough coverage which I did enjoy. Never thought the election of the pope could have so many twists. The ending, what a complete surprise although the clues are there. The slow build up and the twist at the end. If you could sum up Separation of Power in three words, what would they be? Kennedy always seems to have that extra insight into the meanings of people's actions. Would you be willing to try another one of Ken Kliban’s performances? Will definitely avoid. Poor intonation, always seems as if a quiet statement is an argument. Dialogue perpetually ends on an upward inflection that I found initially irritating and eventually it spoiled the book. I won't listen to anything by this narrator again. Painful! We have met the intrepid hunter-tracker Allan Quatermain before, in H. Rider Haggard’s marvelous King Solomon’s Mines. This time, grieving from the tragic loss of his son, Quatermain longs to return to his beloved Africa. He sets out in search of a lost white tribe, the Zu-Vendis, ruled by two beautiful sister Queens. Once again, Quatermain’s companions are the indefatigable Sir Henry Curtis and Captain Good, and the magnificent Zulu warrior Umslopogaas. The journey is incredibly dangerous, and thrillingly told. 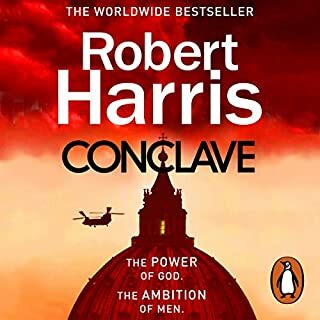 Still a cracking listen and read! 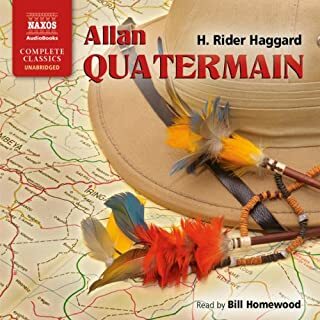 What made the experience of listening to Allan Quatermain the most enjoyable? I first read this about 50 years ago and I found it ticked all the boxes for adventure and excitement, now some of Haggard's views might make readers cringe with its non-PC, but what a great old fashioned adventure. What other book might you compare Allan Quatermain to, and why? King Soloman's Mines or any books by Raphael Sabatini. Slightly old fashioned but such adventure. The reader gives many of the characters forboding menace and belief. Certainly not a character to cross! The battle scene when the Masai kidnapped the missionary's daughter. The reader gives Umslopogas the zulu such menace and confidence in victory. I loved the comment when on consideration he told Quatermein "I kill but do not murder. I kill in a fair fight, face to face!" I found Allan Quatermain very compelling and excellent company in the car and on some long rambling dog walks. Look for many of the unintended humourous comments in the narration.